I really, really like Sarah Chatto. Whenever I've seen an interview of her talking about the Queen, she always speaks of her so fondly and so kindly. I feel like they must have a good relationship, especially since her own mother passed. It is pretty clear that QEII is quite fond of Lady Sarah. HERE is a DM article with some nice pictures. Yes, lovely. I have a really close relationship with my aunt and I guess theirs reminds me of ours sometimes. So nice to see. My 3 favourite wedding dresses are (1-3) because they fit perfectly, and compliment the bride, dress, veil, bouquet, and all. 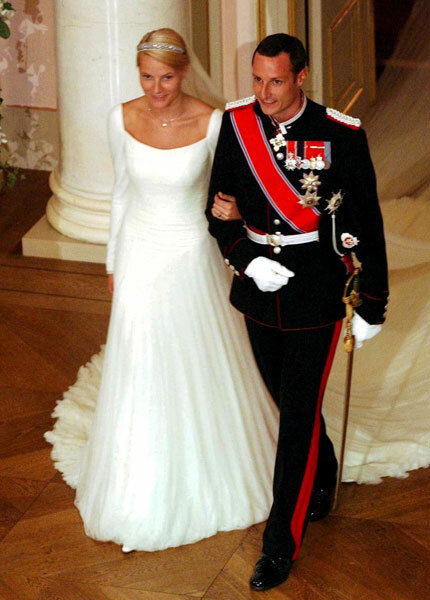 Not sure if she qualified as a royal bride, but did like Alex Miller's (Von Furstenberg) 1995 dress. I wonder what the significance of the silver ears of wheat are. Wow, Laura Ponte y Martinez! That dress...what a fantastic way to bring an vintage style to modern light. Laura Ponte chose a 1920-esque dress with a tiara worn upside-down and it worked She didn't look like she was wearing a costume. I hadn't even noticed the upside down tiara, yes ma'am you are so right. It worked wonderfully. I've never seen before Mabel's dress. Horrible. It's like the fabric comes from Barbie's sofa and it was painted white for the occasion. In fact, I have a Barbie's furniture, somewhere in my old toys, with the exact bows all over. However, Mabel was glowing. 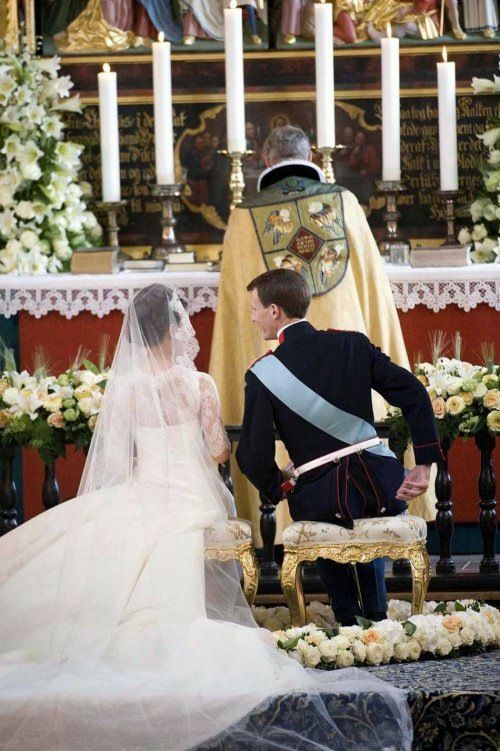 Mary's dress would be absolutely gorgeous if a different fabric had been chosen. MM, Charlene and Victoria look the most regal - among the pictures of the previous page. 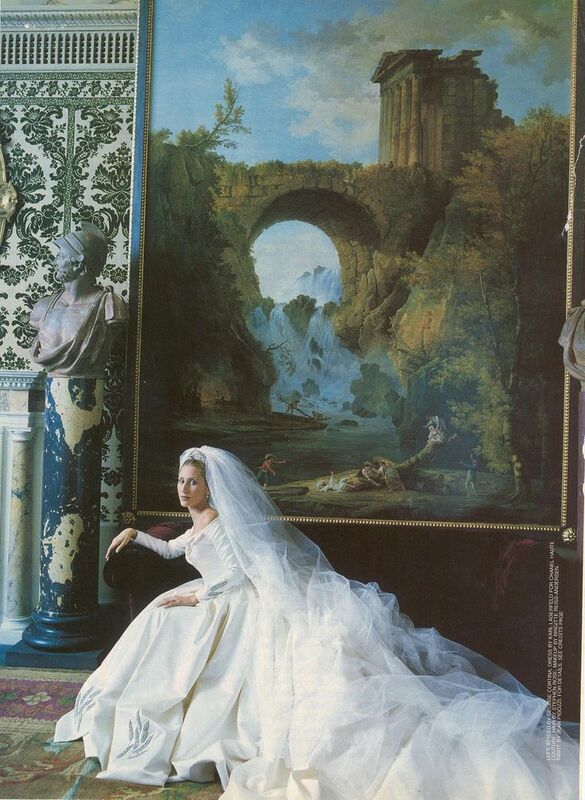 Ahum the 50 best ROYAL brides dresses….. so why did Jacky Kennedy made the list (nr. 5). Ok perhaps you can consider her American royalty, but in the strict sense she isn't royalty. 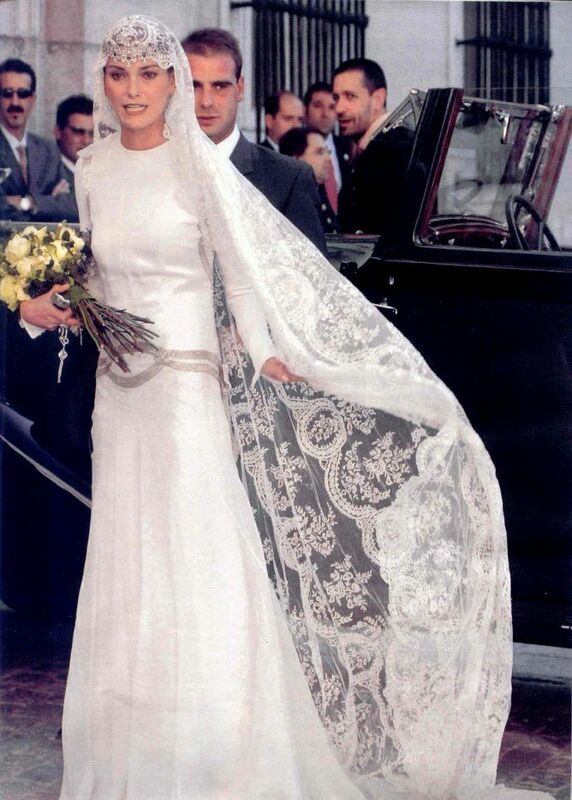 And I miss a great Royal wedding dress in the list, the one of Maxima Zorreguieta (current Queen of the Netherlands)! Color footage with commentary in Spanish of the 1960 wedding of King Baudoin of the Belgians and D. Fabiola de Mora y Aragon.